My favorite part of spring isn’t floral prints or strappy sandals. 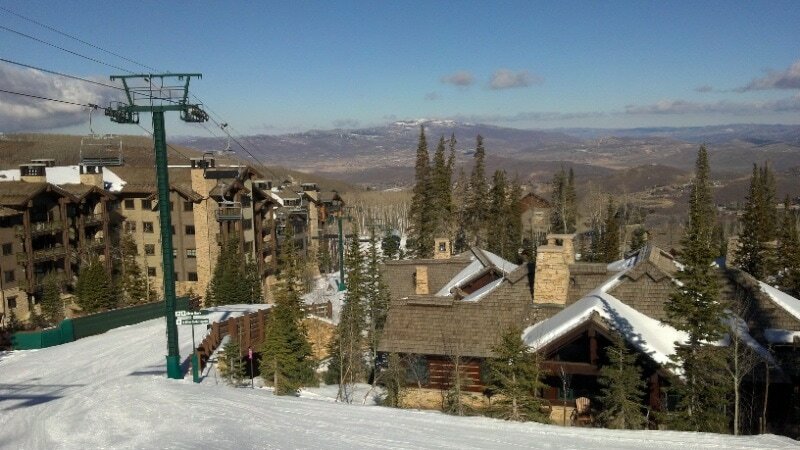 For me, spring means one thing: spring skiing at my favorite resort, Deer Valley in Utah. The spring weather in New York makes me nuts, freezing one day, gorgeous the next and then freezing again. But in Deer Valley, Utah, the spring skiing conditions are predictable and fabulous: nothing but fluffy fresh powder as far as the eye can see. 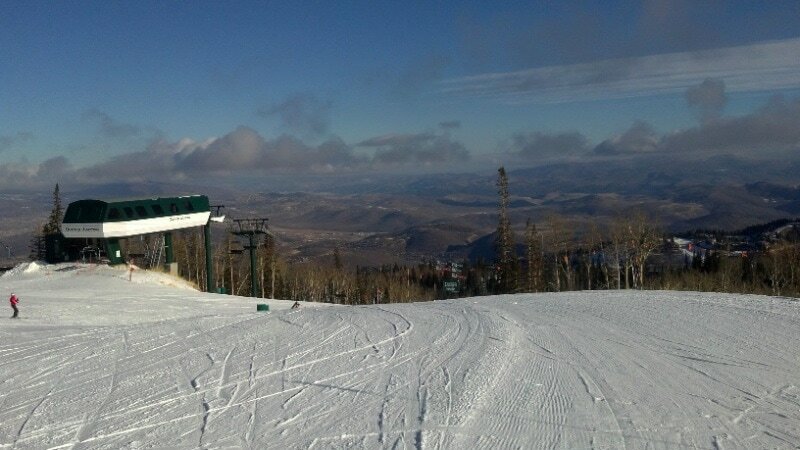 Deer Valley Resort is located 40 mintes from Salt Lake City airport in Utah which means you can have breakfast at home and be skiing by that afternoon, and the long well-groomed runs, gorgeous views and plentiful lifts make it well worth the trip. 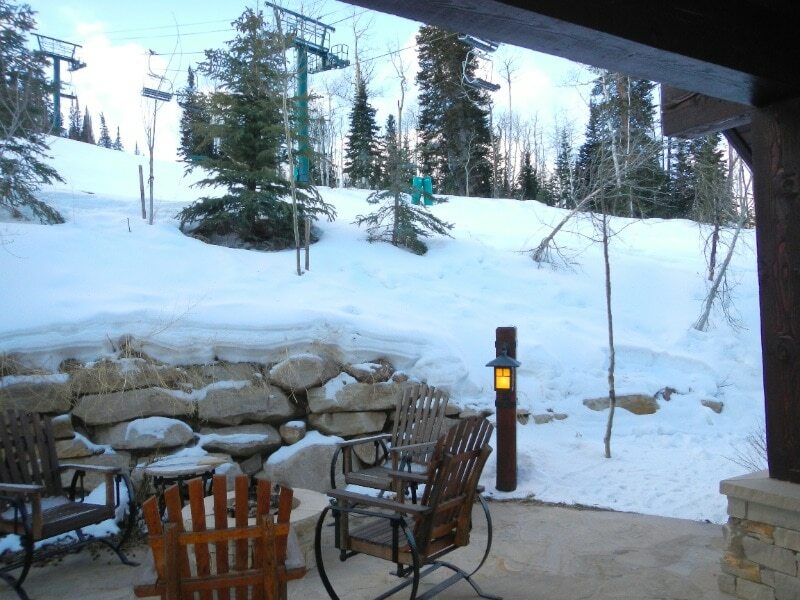 One of my favorite things about Deer Valley is the ski-in/ski-out accommodations they offer. Ski-in/Ski-out means less time in transit to the runs and more time skiing, and, my personal favorite, less carrying your skiis from the car to the lifts and back again. Above is a picture of the house I was very fortunate to stay in during my last visit to Deer Valley. As you can see, you literally walk out the back door of the house with your skiis and you are in the middle of a run and your day has started. You can even ski down to breakfast at the Royal Street Cafe and fuel up before a long and fantastic day of hitting the slopes. Above, an alternate view of the back of the ski-in/ski-out house where I stayed. As you can see, the lift and ski run passes literally alongside the house which means you walk out the door and you’re skiing! 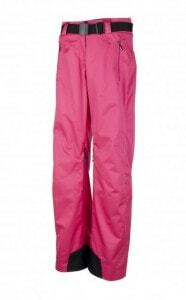 No skis or not in the mood to schlep your ski gear with your to Salt Lake City? 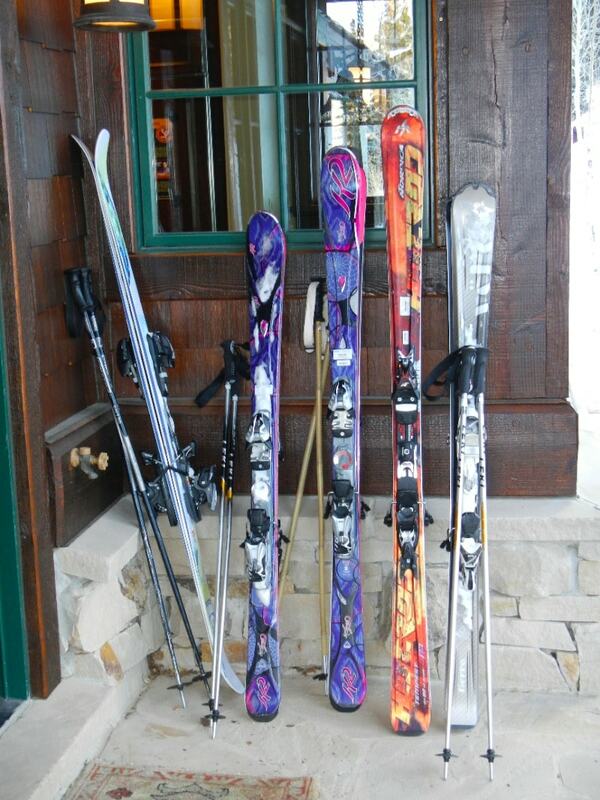 Deer Valley’s partner Skis on the Run is your one stop shop for all your ski rental needs. Skis on the Run is an ski rental delivery company that brings all your ski gear to you at your hotel room or rented house and then picks it up again at the end of your trip. I had a fantastic experience with Skis on the Run; not only did they make sure I was in the right size boot, but they also tried me in two different brands to see which manufacturer’s cut was the best match for my feet! Because you’re not in a busy ski shop, the employees can really take their time with you and make sure you have the gear that is the best possible fit for you. 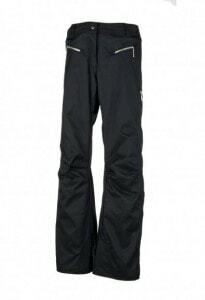 The extra time Skis on the Run spent with me getting me properly fitted in the right size AND brand of boots made such a difference for me during my ski day. Never underestimate the importance of well fitting gear! 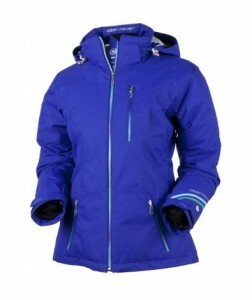 Speaking of well fitting gear, if you are looking for some ski gear that will keep you warm while making you look cool, Obermeyer has got you covered! 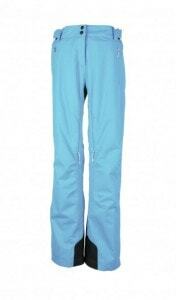 I am a firm believer that when you look good, you do everything just a little bit better, and skiing is no exception. I spent my days skiing in the absolutely gorgeous Obermeyer Leighton Jacket in Pink Cheeta (pictured above, left) and I swear the bold print helped me fly down the trails just a little bit faster. 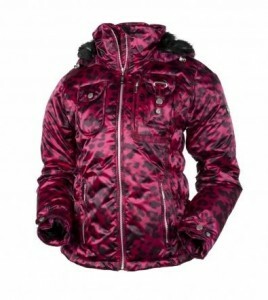 Obermeyer has a great selection of colors and prints to choose from ranging from the bold choices (like my pink cheeta Leighton) to the very chic, like the Katie line (above center) that feature a gorgeous ombre zipper that fades from teal to purple to white for a colorful, understated effect. Obermeyer ski gear isn’t just about looks, however, the Control Zone Ventilation paired with the fiber down lining ensure that you will stay warm and dry in addition to being the best dressed skier on the mountain. Check out Deer Valley online or Ski Deer Valley on Facebook to plan your spring skiing escape today and check out Obermeyer to be the warmest and most fashionable person on the slopes. 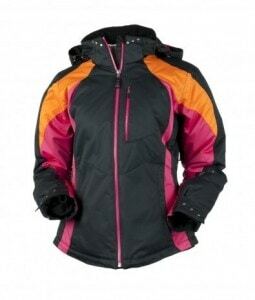 Sample trip and ski gear provided for review. I’ve never been on skis, but those views (particularly of the mountains) are gorgeous.